A five-year extension to the solar investment tax credit (ITC), which is currently included in the omnibus spending bill under consideration in Congress, would result in 25 gigawatts (GW) of additional solar capacity over the next five years -- a 54 percent increase over a no-extension scenario. 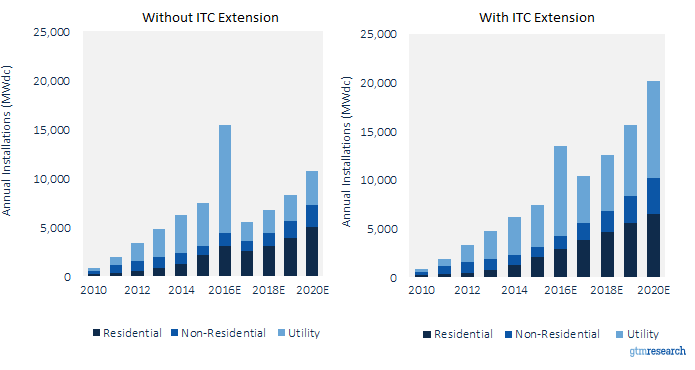 According to GTM Research, which just released a preliminary updated state- and segment-level forecasts based on the current omnibus language, ITC extension will foster $40 billion in incremental investment in solar between 2016 and 2020. "The ITC extension currently written into the omnibus spending bill will result in a 20-gigawatt annual solar market in the U.S. by 2020," said Shayle Kann, senior VP of GTM Research. "At that rate, more solar will be installed each year than was added to the grid cumulatively through 2014." “Given price trends in the utility solar sector, the five-year ITC extension will likely result in utility-scale solar contracts being signed for less than 4 cents per kilowatt-hour on a regular basis over the next two years,” said Cory Honeyman, senior analyst at GTM Research. 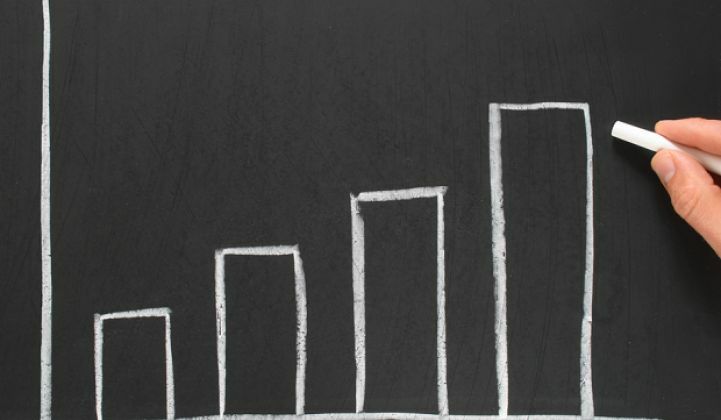 In the distributed solar market, residential installations will see a 35 percent growth versus no extension, while commercial solar will increase by 51 percent. The bill also includes a “commence-construction” provision, allowing projects to come on-line by the end of 2023 and still qualify for larger credits.